We’ve had a pretty exciting couple of weeks at Escentual – not only have we been nominated for two prestigious beauty awards, but we’ve gone and won one of them! The Online Retail Award is an international, impartial, independent business award that can be won by online retailers of any size anywhere in the world. 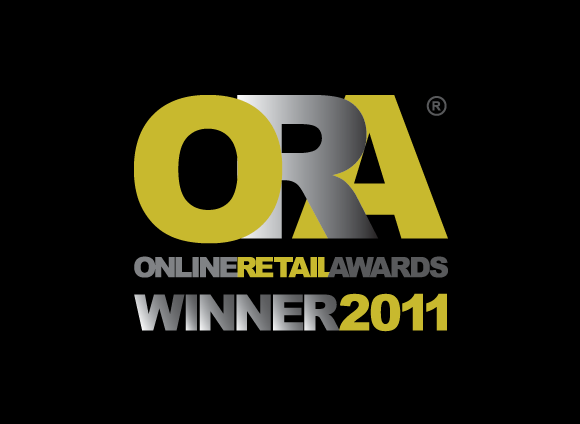 The aim of the ORA is to seek out examples of retailers’ websites that offer great online shopping experiences for customers. Escentual was named the winner of the ‘Beauty, Perfume and Cosmetics’ category, and we couldn’t be more thrilled. We’ve changed the look of our website pretty radically in the past year, so we were especially pleased that the judges scored us highly for our content presentation (they said that we were ‘elegant’ – get us!). We’re very proud to have won, and we hope that our customers enjoy shopping with us as much as we enjoy what we do. Here’s to another year! P.S. Wish us luck for the National Business Awards in November.. we’re nominated for Small Online Business of the Year! This entry was posted on Tuesday, August 16th, 2011 at 1:10 pm and is filed under Award Winners. You can follow any responses to this entry through the RSS 2.0 feed. You can skip to the end and leave a response. Pinging is currently not allowed.